One of the most wonderful sounds in the world is a baby’s voice raised in laughter. 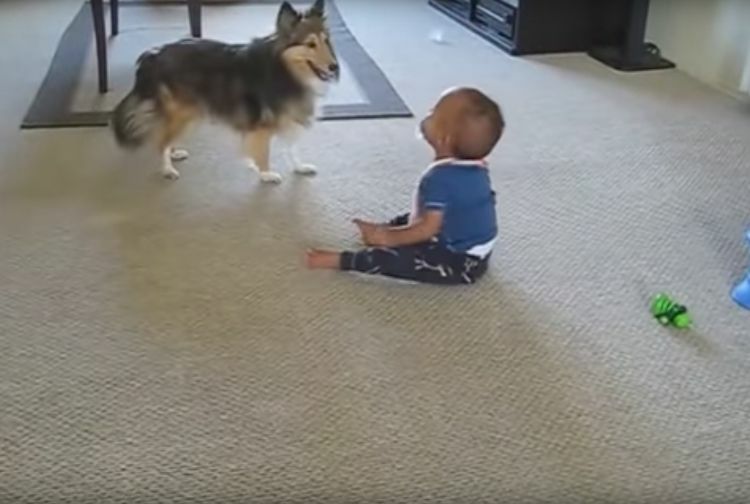 This gorgeous Shetland sheepdog, Pumpkin, knows exactly how to elicit this baby’s shriek of delight as he bounces around the child. 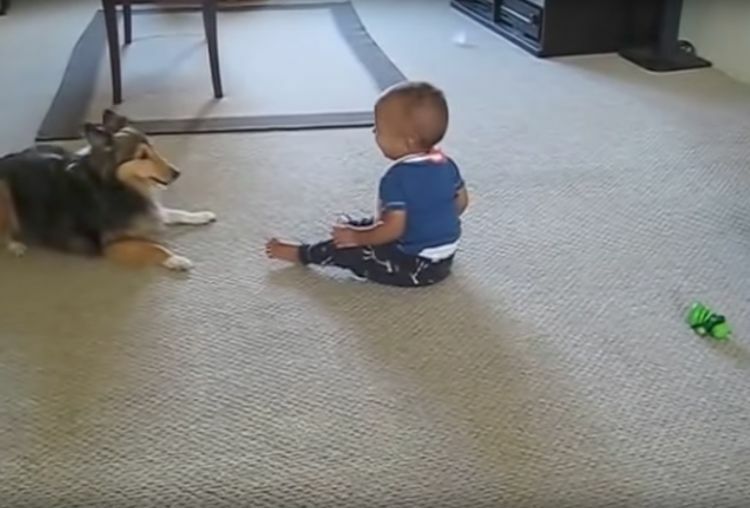 Pumpkin is a breed of dog known for its gentle, family friendly nature, and the baby is obviously a favorite family member to the Sheltie. In the video below, Pumpkin races around the room, dashing in to start the baby’s laughter and then zipping off again. The baby chortles in glee at the small dog’s antics. What in the world could be cuter than a dog and his young friend happily enjoying the day together? Shelties are amazingly smart. Dr. Stanley Coren, an animal intelligence expert, says that in his studies of dog intelligence, which covered 132 different breeds, Shelties ranked sixth. Pumpkin sure seems to understand just how to make his little human friend happy! Shelties are also exceptional athletes. Coupled with their intelligence and willingness to please, they tend to dominate the sports field in the “agility” category among their size group. Agility requires speed and physical nimbleness as well as cleverness. Pumpkin certainly exhibits those traits! 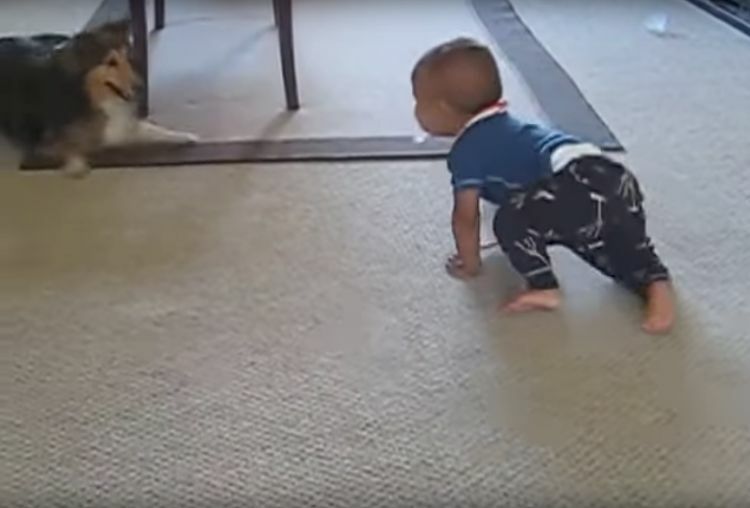 As the baby giggles uncontrollably, the dog races around and around, approaching almost within grasp and then darting away again. 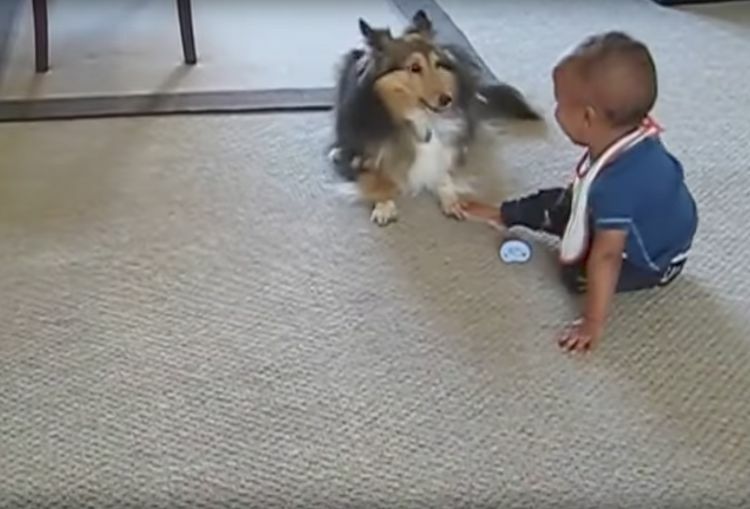 The Sheltie’s quickness seems to crack the baby up, who collapses in a whoop of joy. 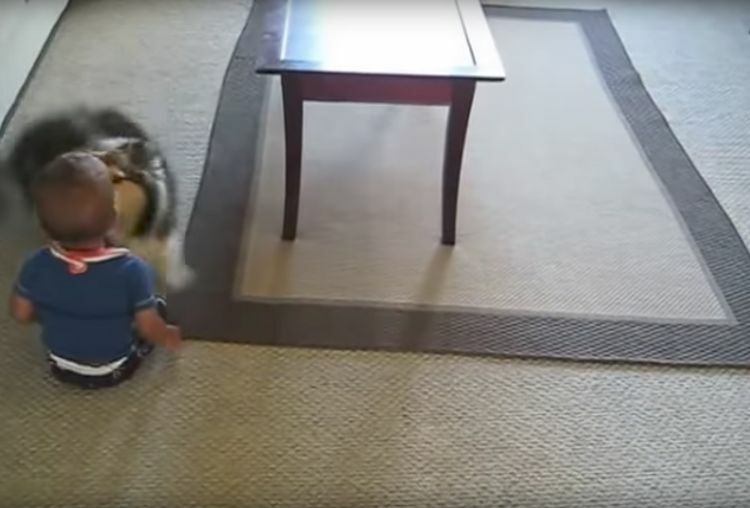 Pumpkin makes sure the baby is completely enraptured by his shenanigans, performing his nearly flying run around the room and then zeroing in for a doggy kiss. It’s obvious that the baby is totally taken with his pet. 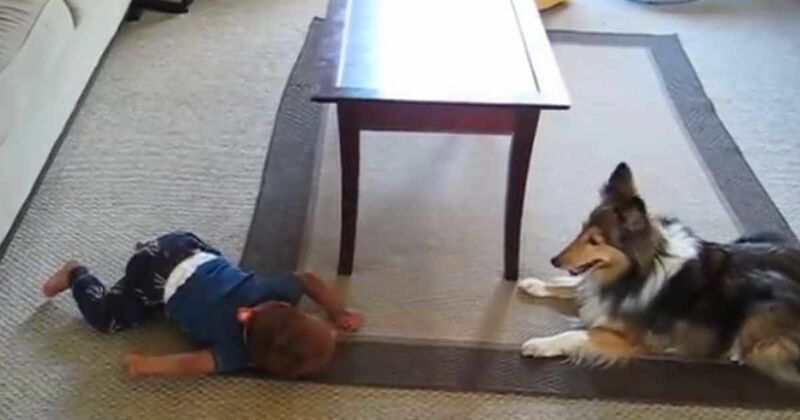 Intensely loyal, gentle and sensitive dogs, Shelties prefer to be with their people at all times, which Pumpkin demonstrates as he plays with his little master. When you watch this video, you will find it impossible to keep a straight face. 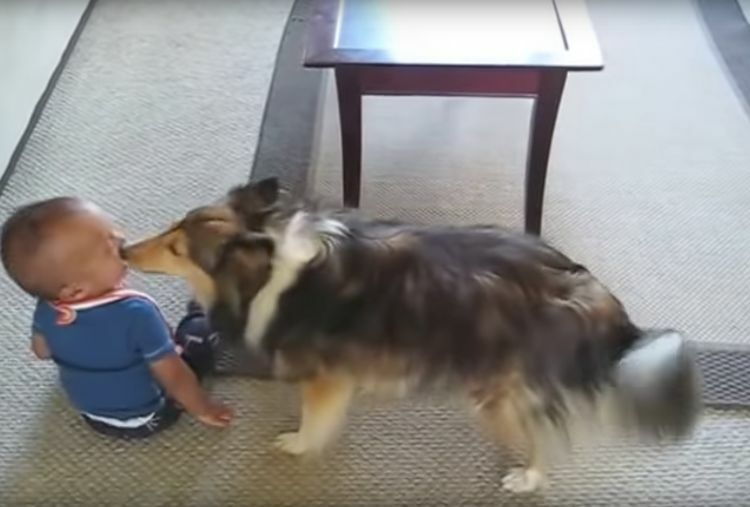 Pumpkin’s final kiss is so sweet that it’s hard to imagine a more ideal dog for this little child. Share it on Facebook with your dog-loving friends, and you’ll find that laughter is contagious -- especially when it involves kids and dogs!